Happy New Year ! We here at Servants Hearts Ministries are looking forward to a very busy year of ministry. We pray that each one of you has a prosperous and productive year as well. We started the year out with a BANG!!! 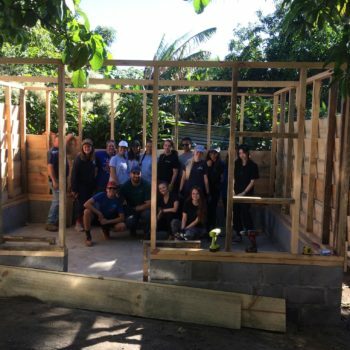 A team of 60 (48 youth, 12 sponsors) from King’s Academy, West Palm Beach, Florida came and built 8 houses in 2 days!! They gave bags of food, a water filter bucket, and a bible to each of the families receiving a house. They also went to Casa Shalom orphanage and had a pizza party with the children there. It was a great group that Hope Project brought down. We are blessed to be partnered with such a great organization. 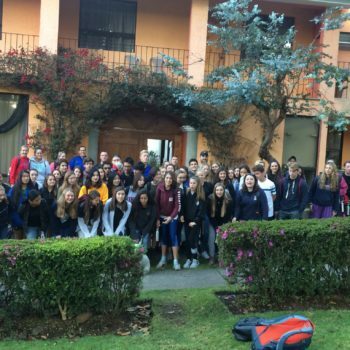 The next team is coming next week and they will be building a house, handing out food, and working in San Cristobal El Alto. I will post pictures in the next newsletter. Bob had the insurance agent come and inspect the drilling rig for coverage and we’re waiting to hear back from them. One more step to completion. Prayer requests: as always, safety for our guys and the teams coming, completion of the drilling rig, wisdom and discernment as we move forward this year.